Be an ant, not a grasshopper! Secure your Kauai vacation rental for this holiday/winter season. 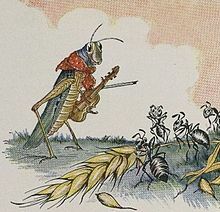 The Aesop fable of the ant and the grasshopper warns against waiting too long to prepare! The situation of the poor grasshopper, left out in the cold, versus the industrious ant sums up lessons about the virtues of planning for the future. Currently, the weather is quite nice on the mainland but winter lurks around the corner (as it does every year!) and once the cold and snow and sleet start, you will be longing for a tropical vacation. Or perhaps you enjoy winter but are interested in a spring or summer Kauai vacation. In either case, it is always best to secure your vacation rental early. Hula Now has a wide assortment of Kauai vacation rental condos from 2-bedroom studios to oceanfront units with full kitchens to units with 2 full beds or king beds. There are Kauai vacation rentals in a full resort setting, too. Hula Now has a spot for you, ocean view, oceanfront, garden view, ground floor or higher floor…Hula Now has it all. You can view all Hula Now’s Kauai vacation rentals at http://www.hulanow.comand book safely and securely on line 24/7. Hula Now welcomes you to our ohana and looks forward to sharing all the delights of Kauai with you!